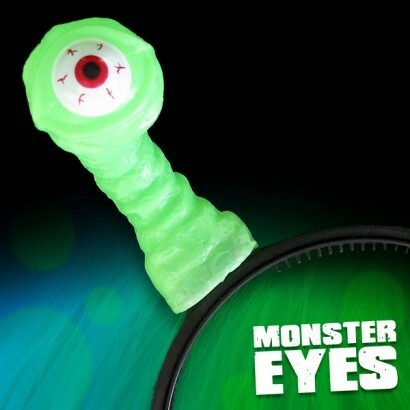 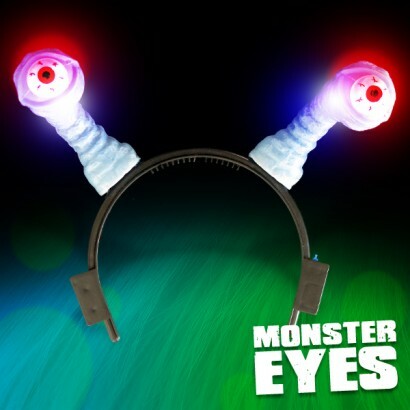 Monster styled head boppers that are out of this world, Flashing Monster Eyes are available in green or blue and feature kooky looking antennae topped by googly eyes that flash with blue and red LED's. 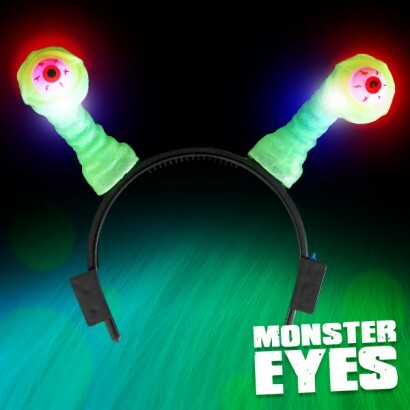 Brilliant fun, these hands free flashing head boppers sit on a flexible headband which will comfortably fit most and are ideal for parties or just for fun! 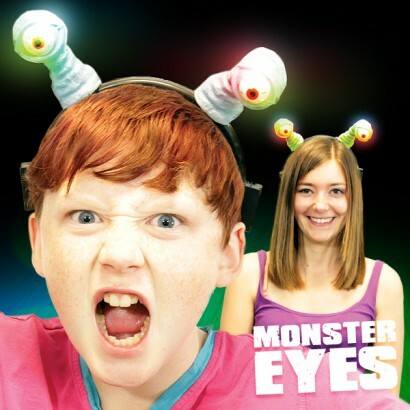 Batteries are included and ready to go!